The history of book printing goes back to the first Bibles pulled sheet by sheet off Johannes Gutenberg’s presses in Mainz, Germany in the late fifteenth century. The first books were attempts to replicate the handwritten books of the time, which varied widely. Over the centuries publishers have gradually established conventions about the way books are constructed. Although type design is often likened to architecture, you could also argue that the construction of a book is in some way architectural. The first order of business in creating a blueprint for book construction is to identify the parts of a book and the order in which convention—the inherited wisdom of the logic of the book from all the book creators that have preceded us—dictates they should appear. 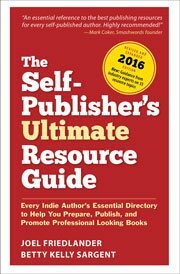 To guide you in creating your book, follow this list. Certainly no book will contain all these elements, but now you know exactly where they fit in the scheme of things. Look for the next post in this series, The Book Construction Blueprint, which will describe how to paginate your book. Further articles will complete the Blueprint, so stay tuned. I was wondering if you can put a Preface after the Introduction? I am currently writing a historical biography and used the Intro to situate the story as a whole location wise followed by a Preface in which in my own words I briefly introduce the individual in question. They compliment each other well this way. Would the preface be better called as a post introduction if that ever exist for that matter? For guidance like this I recommend you download my (free) Book Construction Blueprint which explains all the parts of the book and their order within the book. You’ll find that a Preface is part of the front matter, whereas the introduction is the beginning of the book proper. Where would you suggest the Other Books By [this author] page be placed? I’m producing my second book now, and in my first I put it on the verso of the first Half Title page (per your advice, I believe, though I am not finding the exchange in the comments here), but now I’m second guessing myself, wondering if I misread your advice. Clark, that’s exactly where I would put it. In most books, it will end up facing the title page. I have questions I need answers to. First is , why is the frontispiece at the verso of a book? Second is , if important things are kept on the recto pages of a book, why then is the copyright page at the verso of a book? There is no such thing as “the verso of a book.” Verso refers to the reverse side (the back) of any page. The frontispiece appears on the verso of the Half Title page. Why? Who knows. Probably because it’s nice to see an illustration to the left when you’re looking at the Title Page. The Copyright Page is not placed on the verso of just any page, but on the verso of the Title Page, pairing it with what is arguably the only other more important page. You might then ask, why is the Title Page not on the reverse side of the Copyright Page instead of vice versa, if the copyright info is so important, but I believe that is answered by the very nature of a book. Nearly every time we open a book’s front cover, we do so, not with the intention of looking up its legal notices, but because we want to read it. The right hand page of a newly opened book is the most easily viewed, so (as much as possible) every page and element intended to set the scene or get you in the mood for READING the body of the book that follows is placed on that, the recto side, where you can best see it. And a good Title Page can definitely set the mood! Do you have a favorite writing application? I’m a new (formal) author writing my autobiography series. I’ve been using Microsoft’s OneNote 2013. I’ve tried Word but get frustrated and keep going back to the OneNote. I’m struggling with pagination, proper margining and formatting for final publishing. I noticed the comment above, I’m hoping it will give me some insight on the pagination matter? In addition, I can’t decide on going with self publishing or conventional methods. Do you have an outline or resource that would help me to make this decision? A friend of mine went the self publishing direction but this was a single subject wrapped around the struggle with the death of her daughter and just wanted to tell her story. I’m looking for a bit larger of an audience and broader spectrum. I’m afraid this method would not give me enough publicity. I know you are the self publishing king… any suggestions? And, by the way? Thank you for this publication… super helpful! Hi Annette, thanks for reading. My favorite writing app is IA Writer, which I’ve used extensively on both my iPad and my Mac. It’s a low-distraction program that I’ve written about here: 7 Distraction-Free Writing Environments for Authors. As far as the self-publishing decision, that’s tough to handle in a comment, but keep reading and talking to other authors and perhaps your direction will become clear. I just started using Ulysses III, and it’s fantastic if what you want is simplicity that allows you to focus on the process of writing. The cover of my book will contain a painting by a famous artist. The artist painted the picture special for my book, and I promised him praise and credit for his work on an “About the Cover” page. I am now in a quandary regarding the placement of that page. What is your suggestion? I’m about to self publish my first childrens book and just finished having it gone through the editing process. I was wondering should I include an acknowledgement page? After looking through nearly a hundred of my own childs childrens books, overwhelmingly – most of them do not have one. I cant seem to get a clear answer regarding the necessity of acknowledgement pages specifically with the genre of childrens books. I just want to my book to appear and be presented in the most proefessional way possible. Any advice would be greatly appreciated. Thanks! Joel, I’m a book designer and a thief. I just stole your “An Unabridged List of the Parts of a Book” and sent it to a client (with credit to you, of course). As I told the client, “I couldn’t have explained it better.” You have a great way with words to help the layman (aka newbie author and self-publisher) feel at ease. Thanks for making my job easier! I subscribed to your newsletter; will you subscribe to AmperArt? You may share it with your readers, too; in fact, please do! Thanks Chaz, much appreciated. Amperart.com is an interesting project, very idiosyncratic and typographic at the same time. I just signed up. Hi, can a book have two forwards, or is this not done? Two great teachers of mine have supported me over the years, and I would like to ask them each to write a forward (I would feel odd asking one and not the other). I know “forward by …” on the cover can be an important marketing tool, too. One guy is more the expert for my content, but the other guy is a much bigger name (he also teaches about the same subject matter, but more broadly). Thanks! Sure, Cathy, that’s no problem, and a good idea to help launch the book, too. I request you would add ” Author’s bio” to your list – How to write, where to locate etc. I am currently publishing a book and find it difficult to write about myself. Your suggestions would be of great help. where would you locate an author bio in an ebook? I would suggest putting it at the end, unless it has some great authority or provides compelling reason to buy the book, in which case you might want it in the front. This was REALLY helpful! Thanks so much! This gives me a straight-forward approach to including all that’s necessary in my children’s book, 5 Cheetahs. I stumbled upon your website whilst researching ‘self publishing’ on Google. A big ‘thank you’ for the wonderful articles. Though they were published a couple of years ago, they are still relevant. I am currently self publishing a cookbook on Asian recipes researched and created by a friend. This is the first time I am doing this so your articles are extremely useful. I am based in Asia where self publishing is still new but starting to gain momentum. Thank you Mr. Friedlander. I appreciate the input. Deadline is approaching…back to work! Mr. Friedlander to the rescue again. No matter what I’m researching in publishing my book, your site always comes up. Thanks for all your hard work. We’re lucky to have you on the Internet! Music to my ears, and I’m glad I’ve been able to help. Nice article. I wonder what your thoughts are regarding the fluid stance of some definitions I’ve come across. Such as who can actually or should correctly be writing the Foreword, Preface, and Introduction? I’ve got a book friend who says the author of the book could have anyone else write all three and still be well within the accepted norm? Any thoughts? Basically, for my next book project “Mysterious Madison – A History of the Unexplained” I’d like to not author the front matter. Wondering if I’d be looked down upon, or if it might be appreciated to have three different experts write them? Noah, I don’t see any reason why you can’t have others write parts of the frontmatter. If they add something to the text they would be welcome. In that case it might pay to have a note of some sort to explain the participation of the various authors. And although anyone can write an introduction, it’s a place where the book’s author can establish a context for the book and that’s pretty valuable. I know I am WAY late on this one (over a year — some kind of record?) but I do spent the odd idle moment in reading your back posts, to learn more about this wonderful craft of putting a book together in the best possible way. This is a terrific article! It’s going right into my PUBLISHING binder, to remind me how to do this right. But I have a question. What became of the rest of the series, The Book Construction Blueprint? I’ve been trying to find it, to no avail. I was especially interested in seeing a piece on how to paginate correctly (which was supposed to come after this one). Have I missed some special secret way to get at your archives? You can find all the posts for this topic by picking “Book Construction Blueprint” in the Topics list in the right-hand sidebar. Hope that helps! Thanks, @Joanne, I put this together because I also wished I had it handy. No matter how many books I do I need the memory refresher too. I wish I had had this list about a dozen years ago. Ever so often I have the task of trying to make a pile of assorted manuscripts into a book. Not very often, and usually, back then, I might try my best and help out as an act of kindness. The front matter was one of those areas I really didn’t know much about, at least I knew that foreword was not spelled forward. But I had no idea which came first and/or why. Now I have something and someone to refer people to! Excellent reference!